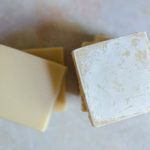 When I decided to learn to make soap, I knew from the beginning that I wanted to create a basic soap recipe that utilized the often maligned soap making fat, tallow. Tallow has a bad reputation and I don’t believe a word of it! Especially now that I’ve used it on my own skin and have absolutely fallen in love with that soap! It is everything I wanted in a bar of soap… an ultra-moisturizing hard soap with a rich and creamy lather that doesn’t turn into a slimy bar that dissolves away quickly once you start using it. The fact is, the reason tallow has been branded as harsh on skin is because tallow soap used to be harsh on skin. But that’s not because of tallow. 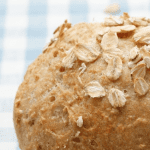 It was harsh because of the inconsistency & unpredictability of homemade lye. 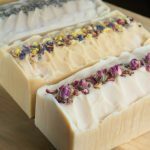 Not only do we no longer have to worry about that, but we can also utilize other fats in a relationship with the tallow in order to complement it’s benefits both to our skin and to the bar of soap itself. As is the case with our skin, tallow is mostly a saturated fat. Tallow’s fatty acid profile consists primarily of oleic, palmitic, and stearic acids. Oleic acid a fatty-acid that is also found in our sebum. It gives tallow it’s softening, soothing, moisturizing properties and allows it to be easily absorbed into our skin. Palmitic acid in tallow works to combat aging and smooth skin. Naturally derived stearic acid will help protect your skin by forming a natural barrier to keep moisture in and contaminants out. When using tallow from grass-fed beef, conjugated linoleic acid is present in higher concentrations (one of the reasons grass-fed beef is so wonderful for our diets). CLA’s in your skin care not only help to retain moisture, but also have anti-aging properties as they work to renew skin cells and repair collagen. As a homesteader interested in local eating while living in the Middle of Nowhere, America, I am limited to my “self-sufficient” fat choices. Basically, all I’ve got to choose from are animal fats such as tallow and lard. When we raise our own meat, we are able to respect the whole beast and use as much of it as possible so as not allow any go to waste. Rendering the fat into tallow or lard for cooking or soap making or candle making allows us to do just that. 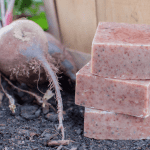 Unless you’re a vegetarian, there ought to be nothing disgusting about the thought of using tallow in your skin care products, and if you are vegetarian, well some make the case that you shouldn’t be disgusted with it then either. But most folks don’t think in terms of using as much of the animal as possible. Beef & pork fat are a by-product of meat production by most standards. So while many soaps are marketed & touted as being vegetarian, using vegetarian soaps don’t actually save a single animal life. In fact, ironically they are the ones that are taking animal life! The most popular vegetarian soap fat, palm oil, is very economical, in high demand, and is detrimental to the habitat of wild animals living in those areas where it is grown. Now, please don’t confuse me with being an environmentalist, tree-hugging, greenie. What I am is a Christian stewarding this earth and as such I need to look beyond the view from my barn door and consider the impact of my choices on all of the Lord’s Creation! So I say use the beef fat that was going to find it’s way to filling a landfill instead! Because it is a by-product of butchering and because of the low demand, tallow is inexpensive. Some people are able to get it for free just by asking their butcher to set some aside! If you were able to raise your own beef and redeem the fat for tallow, all the better! 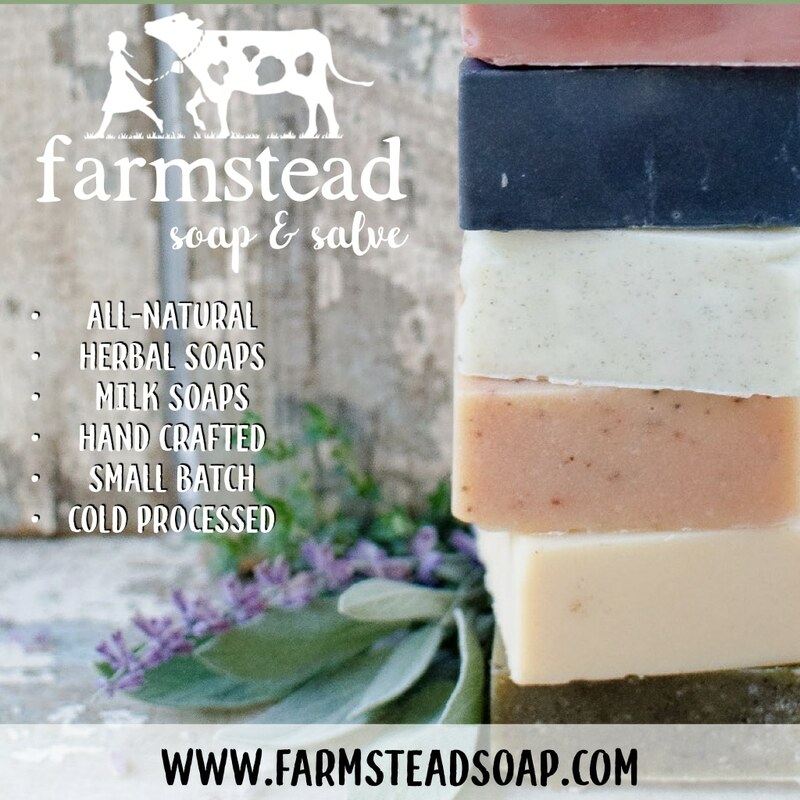 So not only is the initial purchase of the fat cost effective, BUT using tallow in your soaps hardens them, making them last longer! 1.) Find a Source for Beef Fat- That should be pretty easy if you raise your own beef. If not, start calling around to local butchers and ask if they have any available. Either freeze it for later or render it within a few days of butchering. 2.) Cut the fat- Beef fat is a lot easier to cut than pork fat. It’s not as greasy and your knife won’t slip as much. Alternately, if there isn’t a lot of sinew, you can run it through your meat grinder. The grinder is my favorite option because I find that the smaller pieces render down more thoroughly and you have less risk of accidentally burning the fat. 3.) Melt (Render) the Fat- Fill your crockpot with the cubed or ground fat. Add a cup of water or so and about a tablespoon of salt. I eyeball it. The water will keep it from burning and the salt will help to draw out impurities. Cover it and set the crockpot on low if you’ll be busy & can’t babysit it. Or high if you are in a hurry, will be nearby, and can stir it frequently. Even on low, be sure to stir it every now and again to break up clumps. Clumped up fat won’t render down and while you’re waiting for it to do so, the outside will burn. 4.) 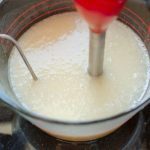 Strain the liquid tallow- Using a coffee filter, double layered butter muslin, or a milk filter, strain the – are they called cracklings in tallow too? Strain the leftover bits of fat that won’t render down from the good stuff. You can either do this at the end or strain it as it renders down. I like to do the latter that way if there is an accident and I do burn it, all is not lost. 5.) Refrigerate– Once all of the liquid tallow is gathered from this batch, pour the jars out into a bowl or stock pot large enough to hold all of it. Don’t refrigerate it in the jars! We’re not done yet and you can’t do the next step using mason jars. 8.) Repeat- Yes, I know. Just when you thought you were done! It’s not nearly as much work this time. Use your knife to chunk it up. Size doesn’t matter too much, it will all liquify this time. Cook it in the slow cooker on low for a couple hours with water and salt again. 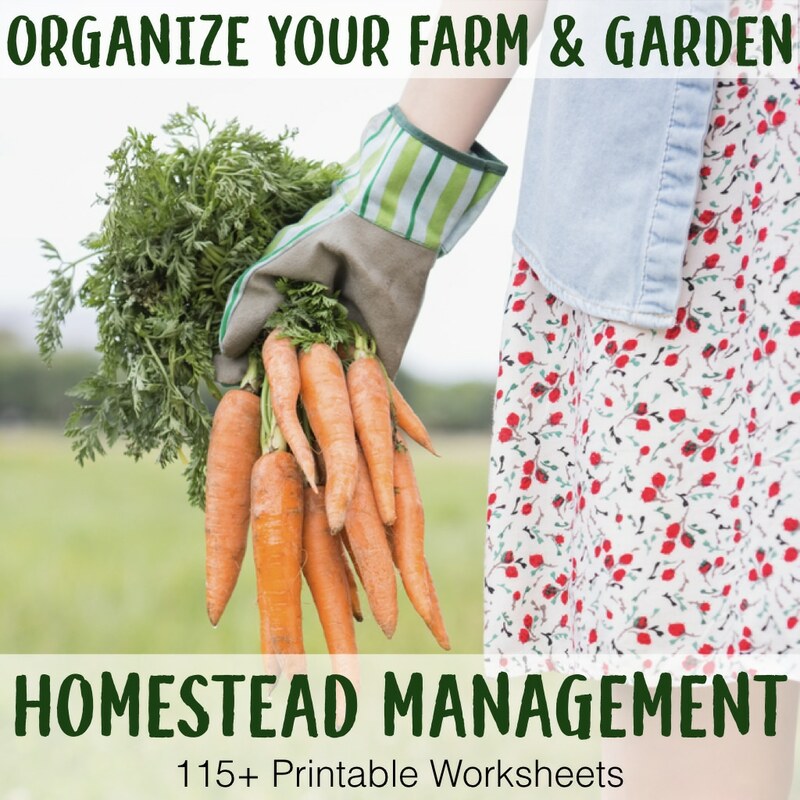 Strain, refrigerate, un-mold, and scrape. This time you should have less sediment. If there was hardly any, you can stop. You might want to do it a third time if you find it necessary. When I’m done scraping for the final time, I chunk it up into cubes once again and then weigh it out into soap-recipe sized portions, label it, and put it in a plastic bag in the fridge until I’m ready to make soap. This is much easier and less time consuming than trying to chisel out the hard tallow from a mason jar! This is great. We’ve rendered a ton ( okay maybe not a whole ton) of lard and recently butchered our first beef and made tallow. I didn’t know about the salt though, so back to the drawing board I go. Thanks for the tip. If you’re storing it in the fridge or freezer and plan on using it for cooking, I wouldn’t worry about it. I don’t go to any extra trouble for our lard. I’ve rendered tallow before but I haven’t done the cool in the bowl and scrapping. I also think that premeasuring the tallow is a great idea. You’re right about the pain of chiseling out tallow from a jar! I’m going to do your method next. I have some suet in the freezer and need to make room for a quarter cow that we’re picking up tomorrow. 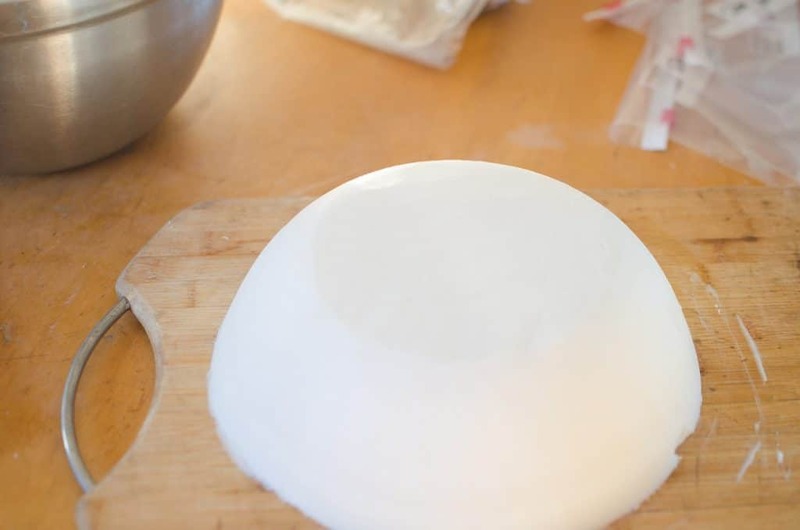 I use the tallow for lotion bars (I use Wardeh’s recipe). I’ve used it for chapstick, too. My husband and sons oil their boots with it. I’ve also used it for frying sourdough onion rings (yummy!). 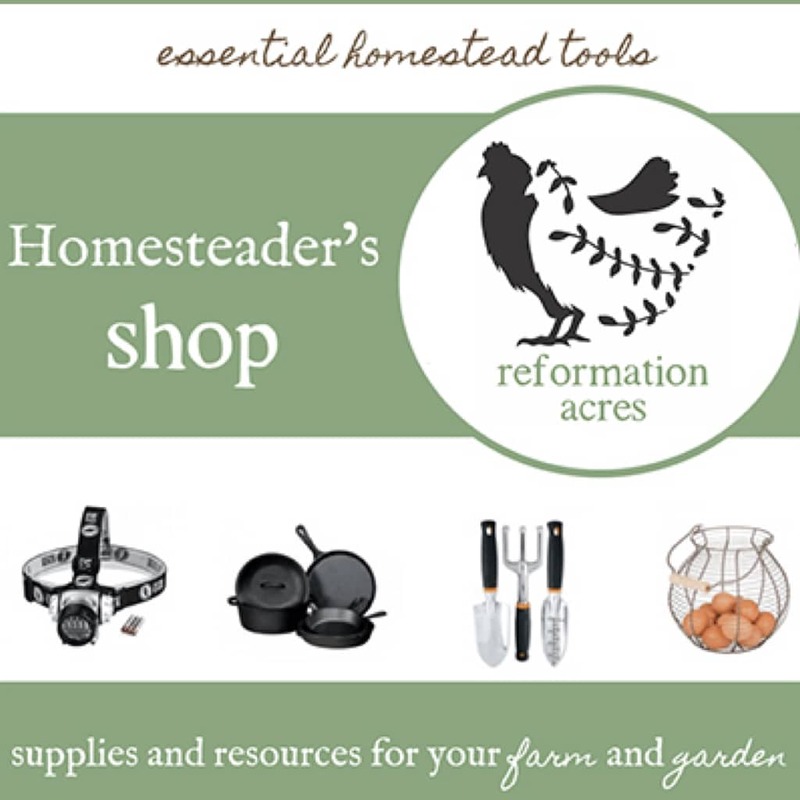 Do you have soap making supplies designated only for soap making or do you use kitchen utensils? Is beef fat actually cut from amongst the meat cuts (the jelly like stuff interlacing the muscle) or is it the stuff you get after cooking meat: all the fat that cooks out and hardens on top when it cools? Can I use that for tallow? If so, can I be collecting it as I cook meat cuts, freeze it, then render it all at one time? Thanks, looking forward to the tallow soap recipe! The fat I’m using is cut from the meat during butchering. It’s not really jelly-like at all. It’s quite dry (especially compared to pork fat) and can be crumbly. Now I want to think that years ago Kendra from New Life on the Homestead did a post about how she collected beef fat after cooking and used it for making candles and her thoughts on that… Might be something to Google. I haven’t tried it myself. This is awesome reading and good to know as I dive into cp. I also reviewed your Etsy store and it is awesomel! Sorry to hear that! I hate losing a good book too! Thanks goodness for the internet though- yay!! I’m going to buy grass feed beef fat and try rendering my own tallow using your instructions. Have you ever had problems with dreaded orange spots developing on your white tallow soaps? I have never had that happen. (Never heard of it actually.) I’ll get the occasional soda ash in the winter, but that’s it. Thanks for the post. I rendered about 10 pounds of tallow from our cattle, and even though the tallow is hard and white and clean, it has a strong tallow smell. 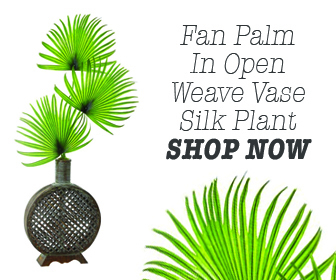 I’d rather not add lots of scent to mask it – – do you know of a way to reduce the smell? Thanks for this great post! I have been rendering tallow for years, but I didn’t know how to purify it until I read this post. I tried it, doing the process that you showed here three times, and the result is like ghee. It’s great! I have one question, though: it is still very soft at room temperature. It’s the consistency of grass fed kerrygold butter at room temperature. Do you know why this is? It would definitely be too soft to make candles. I am using fat from 100% grass fed, grass finished beef. Do you think that makes the fat softer at room temp, compared to fat from cattle fed grain? Thanks!